With the Canada Day long weekend just around the corner, many of us are probably gearing up for a relaxing time outdoors, whether it's a picnic at the park, a beach barbecue or a jaunty outing on a boat somewhere. 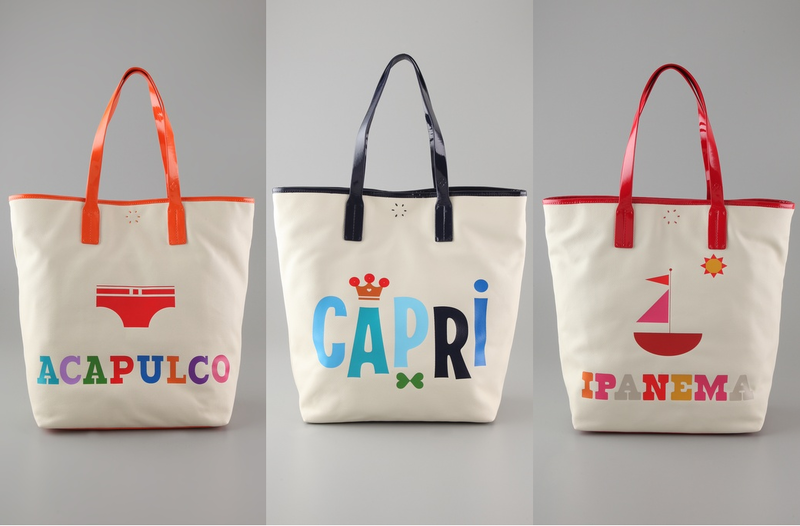 And where designer handbags fear to tread (think water, ketchup, sand, grass stains, exploding sunscreen bottles...), a fun canvas tote can be a girl's best friend. 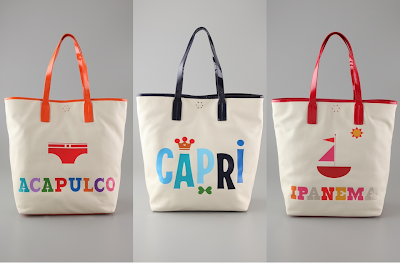 For the girl with deep pockets, Jonathan Adler totes ($203.11) are a great option. With their bright colours and kitschy graphics, they perfectly capture the playful spirit of retro sun destinations. It's hard not to want all three. 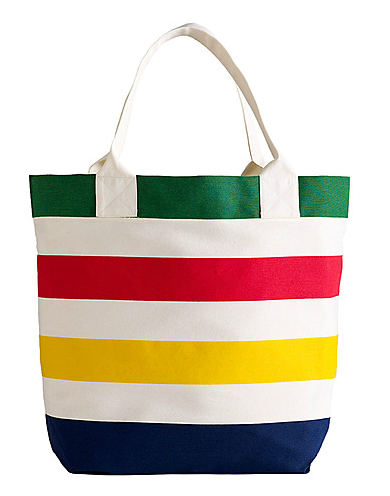 But since I'm not the sort of girl with deep pockets, I think I'll stick to cheaper options like this Hudson's Bay Company tote bag. The iconic multi-coloured stripes are just as bright and graphic, and at a mere $10, the price can't be beat. How are you planning to spend Canada Day? Hmmm The Bay stripes - it doesn't get better than that! every time I see Bay stripes I always wonder if people actually have those Bay bed sheets?! it just seems so.. odd! haha. but I do like the tote you picked out! Love the totes! Am off to Granville Island with the kiddos this Canada Day. Let's hope the sun shines! ooo i actually like the colorful stripes more than the other ones! happy early canada day! i was actually in vancouver last year celebrating it! Hope you're having a great week Lisa! Thank you so much you have given the great blogs site by which we can get more advantage. June issue of Vancouver Fashion eZine is out!